Dorner Holding Corp., the parent company of Dorner Mfg., has announced the acquisition of Penang, Malaysia-based FlexMove, a leading manufacturer of flexible chain conveyors for food, beverage, automotive, electronic and other industries. Dorner Mfg. is an industry leader in the design, applications, manufacturing, and integration of precision industrial and sanitary conveyor systems. 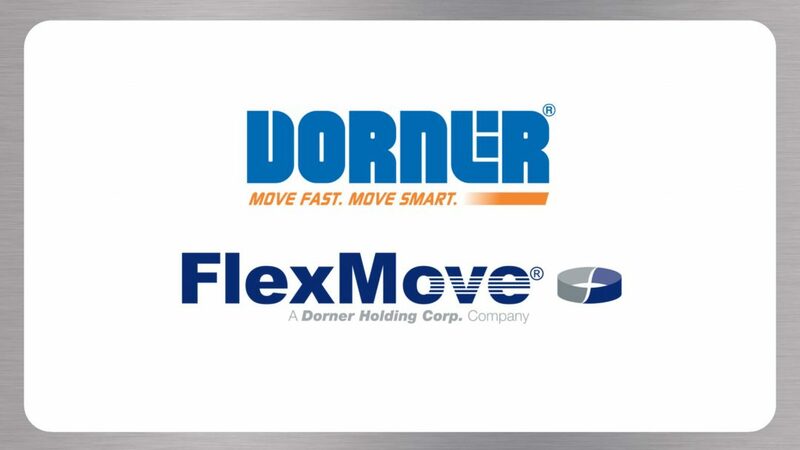 The addition of FlexMove expands Dorner Holding Corp.’s geographic coverage and complements existing products and capabilities in the Dorner Mfg. line. Dorner Mfg. expects the integration with FlexMove to be beneficial, particularly to customers in European and Asian markets. “Dorner Mfg. is a globally recognized brand in low-profile belt conveyors, and we’re looking forward to joining the Dorner Holding family,” BL OOI, CEO, FlexMove. The acquisition will allow Dorner Mfg. to continue its strategy of international expansion. Earlier this year, the company appointed Dan Nasato to the position of Vice President of International Development and Edmundo De la Rosa as International Sales Manager – Latin America. Dorner Holding Corp. is the parent company of Hartland, Wisconsin-based Dorner Mfg. ; a world leader in the design, manufacture, and distribution of high-quality conveyors and related equipment. Since 1966, companies from around the world have turned to Dorner conveyors for greatly improved efficiency and productivity.